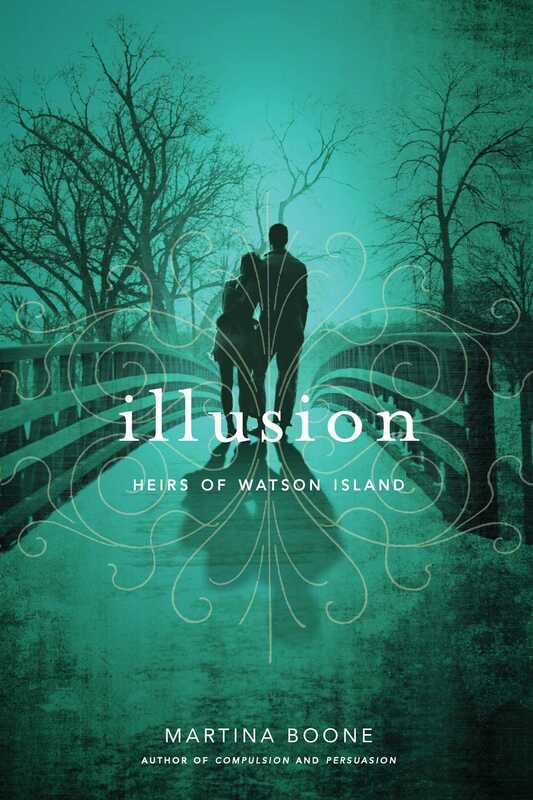 With the publication of Illusion yesterday, Martina Boone’s Heirs of Watson Island Trilogy has come to an end. What is it like, breathing life into fictional characters, nurturing them over the course of three books, sharing their stories with readers, and then saying goodbye? Martina shared a little about her experience writing the Heirs of Watson Island trilogy with us below. If you’re new to the trilogy, be sure to read book one, Compulsion. 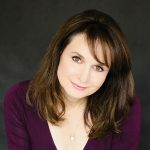 What have you learned in the course of publishing your series that you wish you could go back and tell yourself? Publishing a YA series has been such a mindblowingly wonderful experience, and I’m aware every single day how lucky I am. But that in itself can be paralyzing, and after selling the first book, I still had to go back and write the other two books, just as I am writing new books now. What no one told me then was that it doesn’t get any easier to write a book. If anything it gets harder. It’s all too easy to psyche myself out as I stare at the keyboard wondering whether I can ever write something again that will be good enough for my readers. Readers are the best part of the publishing experience, and I feel a terrifying responsibility to them. But they’re also familiar. I know them because I’m a reader first and foremost, and more than anything, I have to trust that if I write the books that I love to read, they will resonate with someone else as well. It takes faith to keep writing every day, and one of the best things about doing book festivals and author events is that I get the chance to listen to other authors who are all struggling with the same things I am. Even my own writing heroes still worry about writing every single book and fight to find the courage to keep going when it’s hard. If I could tell my naive new author self one thing, it would be to just keep writing, a sentence, a paragraph, a page at a time until I get to the end. Which character has grown the most over the course of the Heirs of Watson Island? Definitely Barrie. Raised in San Francisco by her shut-in mother and her caretaker Mark—who is basically Ru Paul meets Whoopie Goldberg—Barrie is sent to Watson Island with Mark’s instructions to live life to the fullest, but she has no life experience or preparation for how to do that. She doesn’t begin as a typically “strong” character—she wears high heels and she’s not afraid to use them, but she’s stubborn and she’s willing to fight for herself because without that, she wouldn’t have survived life with her mother. She’s barely been out of the house in all her seventeen years, and apart from Mark, she’s had no real relationships in her life. Her minimal exposure to the outside world and her sensitivity to the hardships that Mark had experienced in his own life make her ready to champion any underdog, and she doesn’t even realize that in many ways, she has her own biases to deal with. She finds it very hard to know who to trust, so she trusts everyone and no one when she first arrives. In the true Southern Gothic tradition, Barrie is the innocent who moves into a place and exposes the corruption and monstrousness that exists both there and within herself. But because the series is a fantasy and it is ultimately a hopeful fantasy, Barrie also comes to see and understand the genuine magic that exists on Watson Island, the remnants of a magic that once existed in many other places. She also finds the magic of love and family, and completes the inner journey to finding and understanding herself and her own magical place in the world around her. She ends up being an incredibly strong character—but she is strong in her own way. Did any of the characters in the series surprise you? They all surprised me. Mark was never meant to be such a core part of the series, but he kept sticking his size fourteen Louboutins into more and more scenes. I wanted to ground Barrie constantly. I wanted to slap Cassie. Then I wanted to slap Seven Beaufort. I wanted to hug Eight and tell him he’d be all right. I wanted to ground Kate Beaufort and applaud her. I wanted to shove Obadiah and Mary and Daphne together and make them hug and make up already. And always, I wanted to finally give Pru Watson the respect and love and appreciation that she had never received. Who surprised me the most? Eliza Watson Beaufort. My fictional Eliza is based on her counterpart, Eliza Lucas Pinckney, who at the turn of the 18th century ran three plantations for her absent father when she was Barrie’s age and founded the American indigo industry, which became the third largest export in the colonies prior to the Revolutionary War. The real Eliza triggered my awareness of how many people were left out of the history I learned in school. She was the inspiration for the whole series, and I knew she had played a large role in shaping the history of Watson Island. What I didn’t know what how large her role had been in creating the magic of the island until I discovered her full story in the final book. I didn’t know how important she was going to turn out to be nor how much she was going to come to life for me. What is your favorite experience as an author to date? Reading on her own was difficult for my daughter, so once I stopped reading stories to her, fiction fell off her grid. When she finished the first book that made her want to read late into the night, we went off to the bookstore the next day and bought an armload of books together. These included Becca Fitzpatrick’s HUSH, HUSH; Scott Westerfeld’s UGLIES, and Melissa Marr’s WICKED LOVELY. My first author was a luncheon at BEA at which I appeared with Becca Fitzpatrick, Scott Westerfeld, Kresley Cole, and Christina Lauren. Melissa Marr was kind enough to do two of my launch events with me. At each of these events, I kept singing the Sesame Street song in my head: “One of these things is not like the others.” But when my daughter heard about the schedule, she pulled out the author’s books from her bookshelf and brought them down to tell me how proud she was of me. She told me that I had proven to her that if you tried hard enough, you could accomplish anything, which in turn made her want to go out and pursue her own dreams, however unlikely they might be. That’s definitely my favorite author memory. 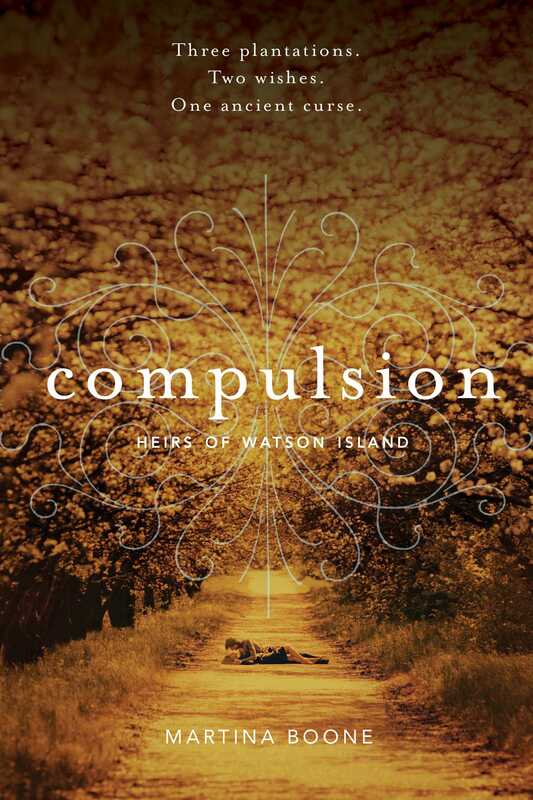 It’s followed closely by the first time someone told me COMPULSION was her favorite book of all time and thanked me for writing it, because that was the first time I realized that COMPULSION could hold the same kind of magic for someone else that my favorite books had held for me and my daughter. Any last thoughts about the series now that it’s over? The series is ultimately about girls and their place in history and in the world today, about anyone who isn’t the majority. Even now, too many voices are silenced in overt ways and in subtle ways, and people are constantly put in boxes or told how we should look or behave or think. It’s so easy for anyone who is vulnerable to feel as though they don’t matter, as if they should be happy to put themselves second. But strength comes in many forms. Beauty comes in every shape and color. We all need to find who we are and celebrate our differences. We need to search for the magic within ourselves and in everyone around us, and build bridges of understanding instead of walls. That’s Barrie’s journey in the series, and I hope that it can inspire young women to have the courage to fight for their own voices and identities. Grieving the death of her godfather and haunted by her cousin Cassie’s betrayal, Barrie returns from a trip to San Francisco to find the Watson plantation under siege. Ghost-hunters hope to glimpse the ancient spirit who sets the river on fire each night, and reporters chase rumors of a stolen shipment of Civil War gold that may be hidden at Colesworth Place. The chaos turns dangerous as Cassie hires a team of archeologists to excavate beneath the mansion ruins. Because more than treasure is buried there. 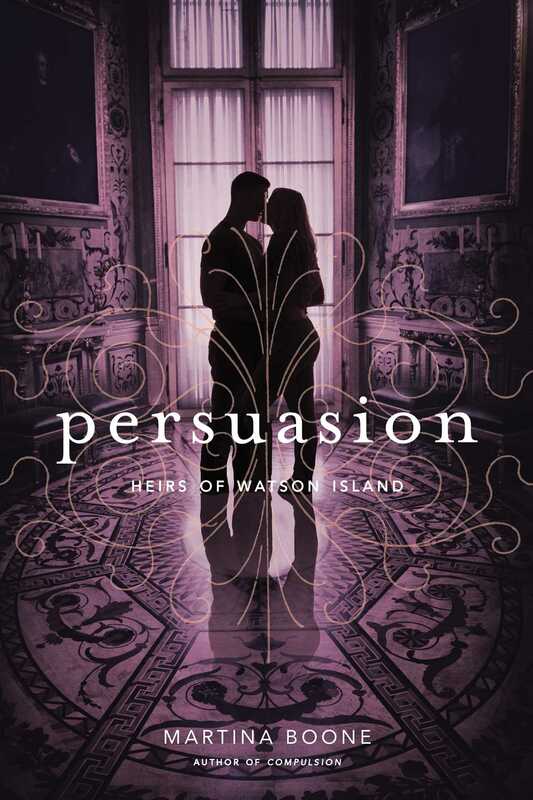 A stranger filled with magic arrives at Watson’s Landing claiming that the key to the Watson and Beaufort gifts—and the Colesworth curse—also lies beneath the mansion. With a mix of threats and promises, the man convinces Barrie and Cassie to cast a spell at midnight. But what he conjures may have deadly consequences.